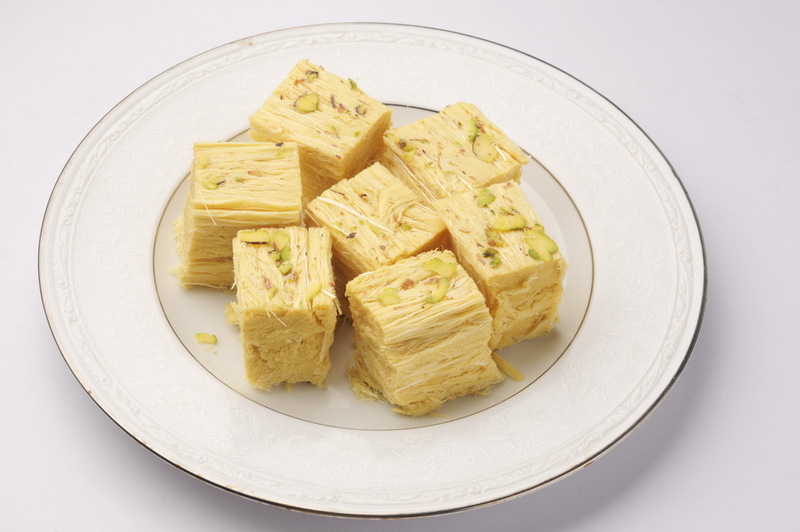 Soan Papdi, also called Soan Halwa, is a flaky Indian dessert made with gram flour (chickpea flour), flour, ghee, sugar. It is flavored with cardamom and rose water and typically garnished with toasted pistachio and almonds. 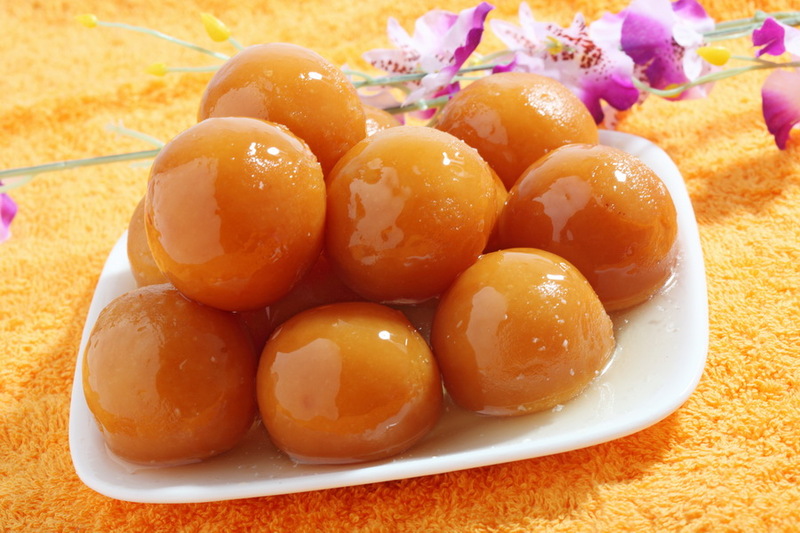 Gulab Jamun is one of most popular desserts in India. 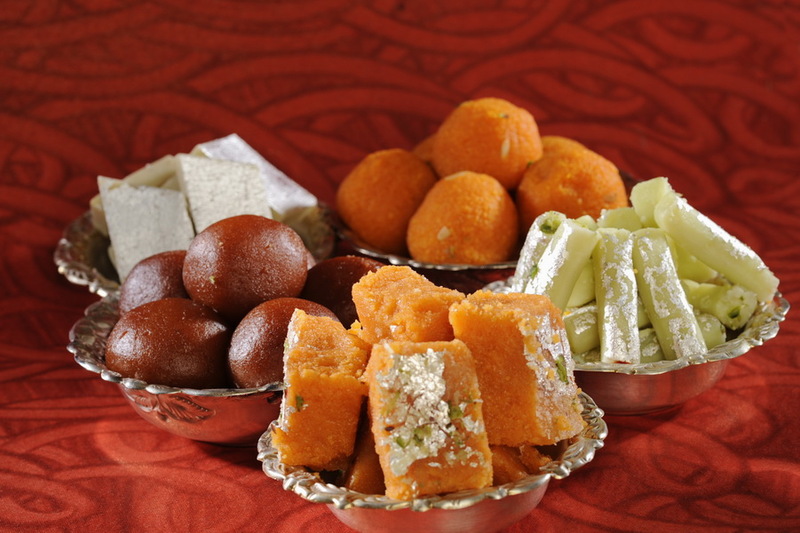 It consists of dumplings traditionally made of thickened or reduced milk, soaked in rose flavored sugar syrup. Indian meatballs or kofta in tomato sauce with yogurt, coriander and cumin. 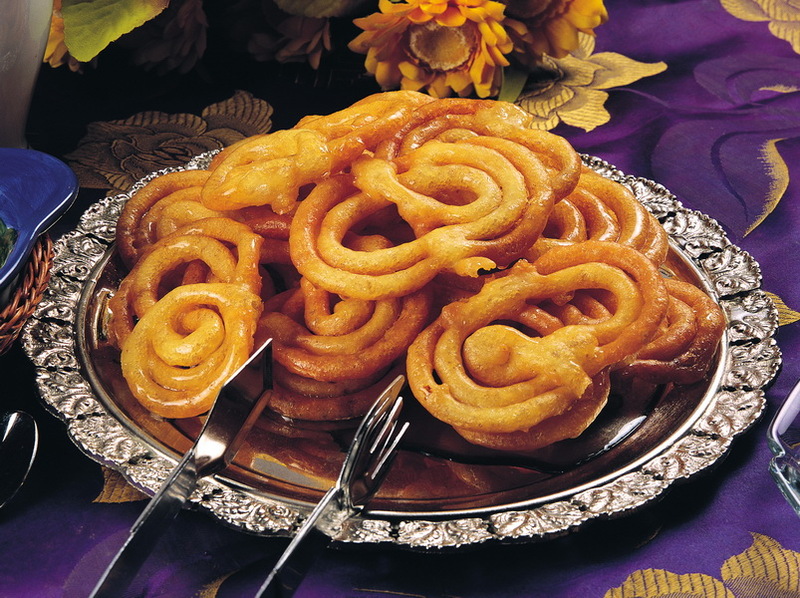 It is a popular dish in the northern India. The spice sauce is made with onions, tomatoes, coriander, garlic, chili, ginger, peppercorns, cloves, cumin, cinnamon. Along the coast of southern India, fish curry and rice are eaten on an almost daily basis.